Fire Fete in Miami is going to be epic! 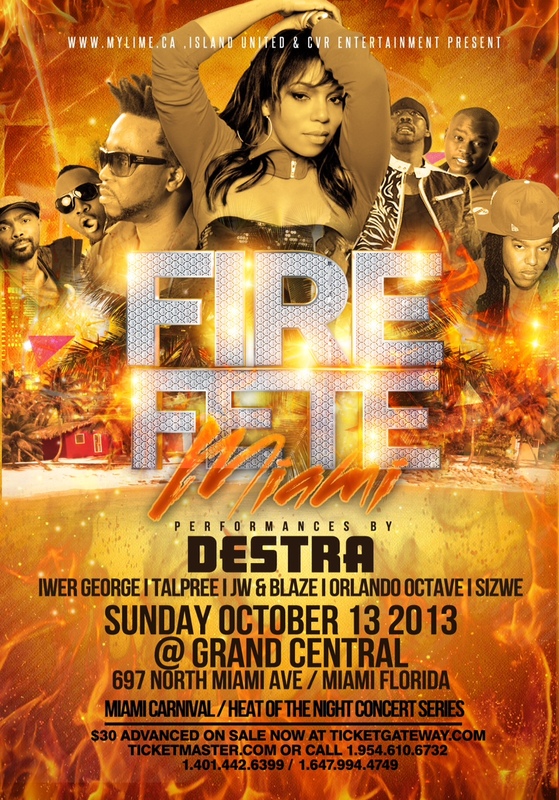 Performing Live: Destra Garcia, Tallpree, Iwer George, Sizwe, JW & Blaze, Orlando Octave, & More! Music By: DJ Crown Prince (Dubai), D Enforcas (Toronto), Duchess (TNT Hot 95.3fm) and hosted by Miami's own DJ Barrie Hype. This will be my last jump up in Miami. Leh we go!